Tumbbad, AndhaDhun, Badhaai Ho, Stree, Let's Take A Look At Bollywood's Surprise Hits Of 2018! Tumbbad, AndhaDhun, Badhaai Ho, Stree, Let’s Take A Look At Bollywood’s Surprise Hits Of 2018! While Badhaai Ho surprised us with such a different plot, Stree made sure to impress us with the horror-comedy genre! The year has almost come to an end. And while we are recalling all the goods and bads of B-town in 2018, there are a few films which have managed to leave a mark. From Ayushmann Khurrana and Sanya Malhotra’s Badhaai Ho to Shraddha Kapoor and Rajkummar Rao’s Stree, there were many films which deserve a special mention. 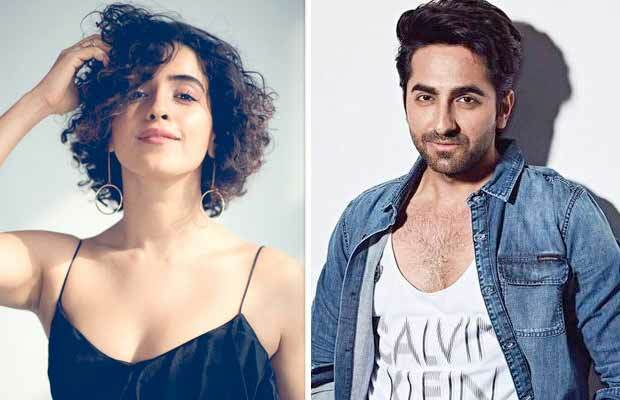 Starring Ayushmann Khurrana, Sanya Malhotra, Neena Gupta and Gajrao Rao, the film was a complete surprise package. It had surprised everyone when it crossed the Rs 100 crore mark at the box office with such a different storyline. A horror comedy, which is a rare genre in B-town, was done really well with the film Stree. It was praised both by the classes and the masses. Having Shraddha Kapoor and Rajkummar Rao in lead roles, the film was a success at the box office. The crime thriller by Sriram Raghavan had won hearts of the critics and the audience. With such stellar performances by Ayushmann Khurrana and Tabu, the film’s plot was the most attractive part. Endless twists and turns in the film made it such an interesting watch and it resulted in the film coming out to be a hit. The period horror film Tumbbad starring Sohum Shah in the lead role was indeed a masterpiece. With the first draft written in 1997, the production of the film had taken six long years. But it was all worth it looking at the final results. Such appealing visuals and Shah’s spectacular performance made it a success at the box-office. Previous articleThe Makers Of ‘क (C) Se Crime’ Have Now Released The Final Chapter ‘औ (Au) Se Auzaar’ Today!